When I returned to Amsterdam, I reflected on a wonderful week attending the WAIC2015 in Johannesburg. The sessions about Being AI stood out for me. They taught me more about the value of appreciated questions and constructive dialogue within our daily lives. Instead of focusing on business development (as I usually do) I took the opportunity to truly connect with my inner voice and to reflect on how to apply AI in my life. The results of this connection for me have been more joy in life, a rigorous change in my career, more connection with my loved ones, and time and energy to pick up plans I had put aside for a while. One of these plans I will highlight in this article. Two years ago, I was fortunate to become the mother of a beautiful girl. The first year of being a mother had a huge impact on my energy level and the ability to truly connect with myself. While my baby girl slept by the book, I had difficulties sleeping myself. It took a while before I dared to express my doubts, my fears and all my questions. Because I acknowledged this and because people asked me appreciative questions, I had the opportunity to connect with the woman and mother I am and want to be. Showing your doubts and vulnerabilities as a mother is still a taboo. I see lots of similarities with leaders in companies, who are afraid to admit they don’t have the answers. How beautiful would it be if we could openly share our doubts and differences? Therefore, I am working on an initiative for women who have just become mothers: a group of between six and ten women meet together four or five times. During these sessions, we construct a dialogue between these mothers and exchange stories. Appreciative questions can support women to switch from problem focus to constructive topics and opportunities within their new family life. As neuroscientist Barbara Fredrickson clarified at the conference: “stimulating positive emotions has a positive effect on our health and wellbeing”. 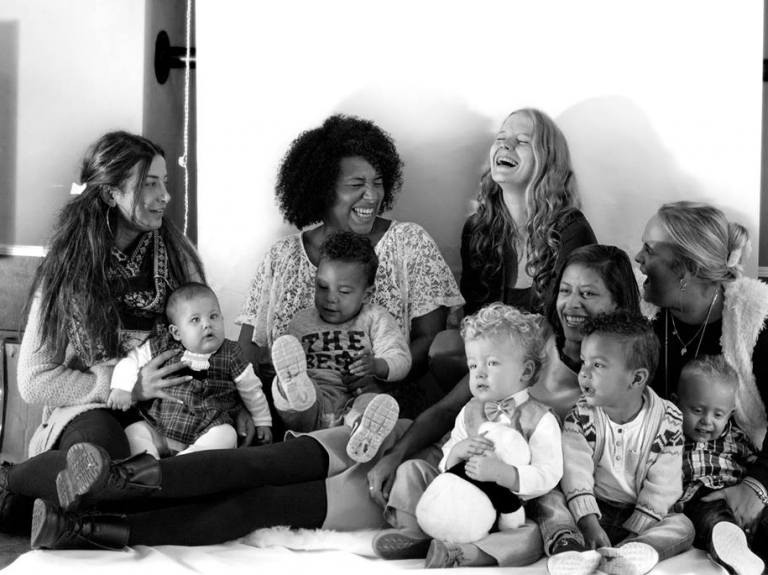 My dream for Brazil is to present many stories of women who have experienced more value during the first year of motherhood because they made a positive connection with themselves and with other mothers. I want to do more research on effective interventions and will certainly use some models I have learned about during the conference, like Jeanie Cockell and Joan McArthur-Blair’s ALIVE model.